40 years ago today, on July 20, 1973, movie star and kung fu expert Bruce Lee died in Hong Kong of a cerebral hemorrhage brought on by a combination of overwork, herbal medicine, and prescription drugs while visiting actress Betty Ting Pei in her apartment. (Or at least that’s the version I’m familiar with. There may be other factors involved in this case that can be found in different accounts.) On Saturday, July 21, 1973, I learned of Lee’s death as I was riding the subway home from Manhattan after seeing a double bill of CITIZEN KANE and GRAND ILLUSION at the New Yorker Theater. I had picked up the New York Post and gone to the entertainment section and found a small article with the headline, “Bruce Lee, Kung Fu Star, Dead at 32.” By this point I had already seen one Bruce Lee film in theaters, THE CHINESE CONNECTION, the English-dubbed version of FIST OF FURY, which had been released in Hong Kong a year earlier, in 1972. 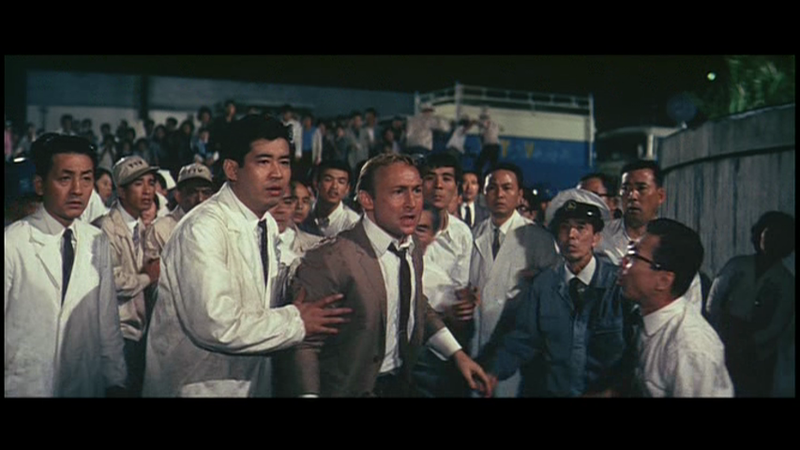 One other movie of his had been released in the U.S., FISTS OF FURY, the English-dubbed version of THE BIG BOSS, which had premiered in Hong Kong in 1971. Two other movies he’d completed were waiting for release. 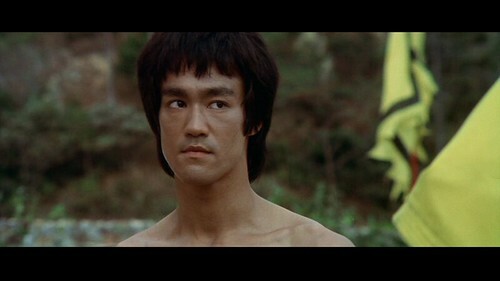 WAY OF THE DRAGON, a film that Lee had written and directed himself, as well as starred in, would be released in the U.S. as RETURN OF THE DRAGON in 1974. The one Hollywood film he’d starred in, ENTER THE DRAGON, filmed earlier in 1973 in Hong Kong, would be released on August 19, one month after his death. Tags: Ah Louis, Angela Mao, Bruce Lee, Enter the Dragon, Fist of Fury, Fred Weintraub, How Bruce Lee Changed the World, Ted Ashley, The Chinese Connection, Warner Bros.
Today, July 8, is the 160th anniversary of Commodore Matthew Perry’s arrival in Japan to begin the process of “opening up” the island nation to trade with the West, thus beginning a process that eventually, after some serious tears in the relationship, gave us giant monster movies, anime, and J-pop, among other things. On the occasion of this anniversary, I’ve decided to focus on a landmark film which marked the first significant cinematic collaboration between the U.S. and Japan, FRANKENSTEIN CONQUERS THE WORLD (1965). 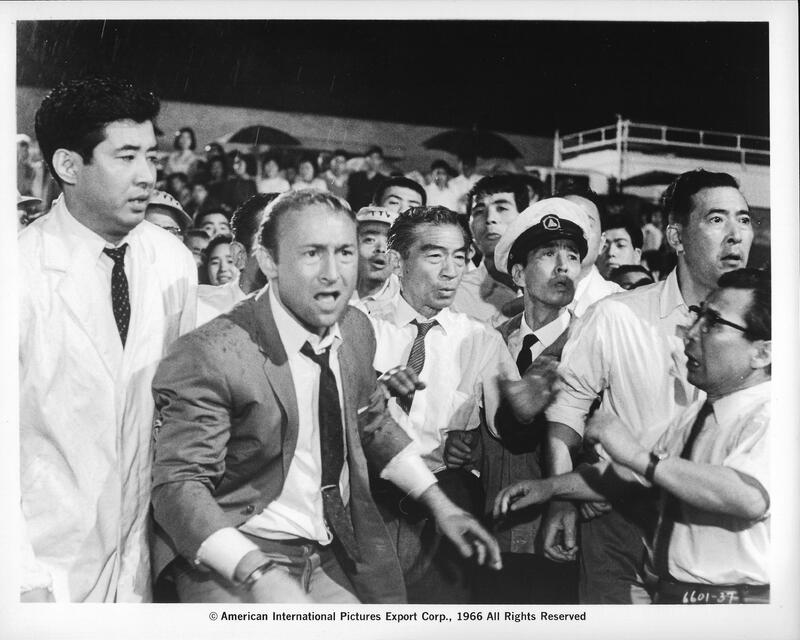 While it wasn’t the first co-production between the two countries (I believe that would be TOKYO FILE 212, from 1951), nor is it the first Japanese movie to import an American star (more on that below), it was the first such film to make a real dent on the international market.